Natural alkaline that neutralizes acids and washes away oils/dirt while leaving skin soft, silky & smooth. Dissolves in water. When mixed in appropriate amounts with citric acid, it produces a reaction that leads to the fizz in bath fizzies. All Natural. USP Grade. To provide skin softening properties to products. Also used to balance the pH of some formulations. Baking soda is a natural particle that dissolves while cleansing the skin or in bath water. 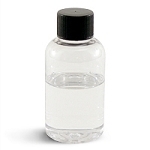 It is a natural alkaline that neutralizes acids and washes away oils and dirt. It's natural pH balance leaves the skin soft, silky and smooth. It is great to use in soaps, bath salts, and skin scrubs. When mixed in appropriate amounts with citric acid, it produces a chemical reaction that leads to the fizz in bath fizzies. All Natural. USP Grade. This bulk purchase was a great price! You may think that baking soda is baking soda and they are all the same. Not so. I have used other baking sodas in my bath bombs and they do not perform the same. The balls are more difficult to hold together with other brands. This baking soda has just the right texture to make the process easy. I would not use any other. Please never stop carrying this. Just your typical baking soda. Great quality! Clean and perfect for bath bombs. Excellent price too! I had no issues with the baking soda. Product worked as expected. Great quality product! Works well in my bath bombs. I usually sift. I havent ever had to with this product. Love it. Grains are consistent. Product is fresh with no clumps. Priced well also. Came as part of a kit. Blended well and I would recommend this this product! Love the zip top packaging, so easy to scoop out of. great quality product, no lumps! 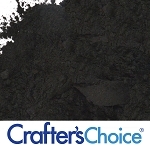 One thing that I can always count on with Crafter's Choice is the quality of the products. Having that peace of mind is a huge deal, especially when making products for your own business! I have been impressed each and every time I have received an order from this company, products are always packaged safely and professionally! 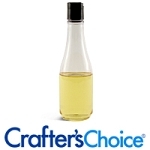 I have recommended Crafter's Choice many times and will continue to do so! Great for bath fizzies and salts! Will buy again! Works great and easy to work with. The option for big bags is also handy. The only complaint I have is the seal on the bag is hard to open at first. I had to cut the top more because the seal didn't rip off enough. This is the best baking soda yes you could by it at the store but I have used both and this rocks. Great product. Used for bath bombs. Very good texture for bath bombs. Not clumpy. My bath bombs are always fizzing great with this baking soda paired with CC Citric Acid! 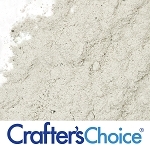 I love the baking soda from Crafter's Choice! It works great in all my products and with bulk pricing it can't be beat! Nice soda, not clumpy, easy to work with. This is a great product and the best price that I have found! The product is good and easy to work with. I ordered a good amount of baking soda, but they were packaged in individual 5 lb bags. Great product. Works as expected. Came in a large box with the receipt and some protective bubble wrap. Bag was nice and filled with no signs of leaking. Great product. I have some stuff still I got from amazon I need to work with before i can dive into this. Better to buy bulk then buying small stuff every time you run out. I'm very satisfied with this product! I never used any other BS other than arm and hammer. Decided to try Crafters Choice brand for fun. The soda blended so nicely with my citric acid and when I placed the product to pre-sift, there was nothing in the sifter as the soda (and CA) are so fine. In my opinion, this product makes a better bath fizzie. 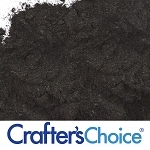 Crafter's Choice by far has the best price for this product. I am making bath bombs like a crazy person and its nice to have found this new ingredient source. This is a great quality baking soda and it's a great price!! No to little lumps. Easy to work with. Will be buying more! Great price for this product. I like to use this baking soda because it is packaged in the bags which are so easy to pour from. This product is just more convenient that baking soda from a box. Love the way my bombs come out when I switched to this soda. Didn't think it would matter...but they feel AMAZING!!! I love this baking soda. I have used other baking sodas before but this one does not clump up on me. Works perfectly with my bath bomb recipes. I use this in my bath bombs. It I think, is an awesome deal. And works GREAT! 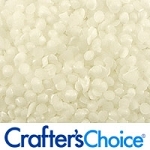 Used for Bath Bombs with Crafter's Choice citric acid. I also use Kaolin Clay which makes the bath bombs harder and they don't break or fall apart when transporting to and from festivals. Kaolin Clay is also great for your skin. I always buy my soda from Crafter's Choice. The price is unbeatable and the product always arrives smooth and without tons of chunks. Makes the perfect bath bomb!! I was able to make several fizzies with the one pound bag. Fizzies came out smoothe. The best features of this baking soda, in my opinion, are the fine grains, USP grade, and lack of major clumps. I've bought baking soda in bulk from other sources, and spent more time and made more mess busting up and sifting out clumps. I've gone through about 50 pounds of this baking soda so far, and have come across very few clumps (and the ones I did have were very easy to break up, not rock-hard like some). This has worked great for me every time! It's makes my bath bombs fizz Nicely when mixed with citric acid. It's very soft and strains easily to remove clumps that might occur. All of my ingredients mix well with it. I would absolutely purchase this again. Best Price I Have Found! Crafter's Choice has even lower prices than the local scientific supply. I am so glad we can get consistent quality products at this price. Works well. Fizzies do what they are supposed to. I really like the smoothness in this baking soda. It makes the fizzies very smooth. It reacts well with the citric acid for fizzies. The baking soda is easy to work with in the 5lb bags and its not lumpy or clumped up. Just a nice clean easy to use baking soda for fizzes, bombs, and soaking salts. Great product. I started off small and now I'm using the big bags and its definitely quality stuff without clumps that I have to sift through! great texture and worked as it should. Works great in our bath bombs, bubble bath frosting and bubble bars, will be using this a lot, good stuff. this is the best baking soda I have tried! I sell bath bombs so I use ALOT of baking soda. The fact that this product is ALUMINUM FREE is why I will keep coming back for more!! Crafter's Choice is the BEST!!! I do all my shopping here for my business. A huge plus is there are recipes that you can try out. I'm always interested in new recipes!! Crafter's Choice Response: Thank you for your suggestion, we will forward this request on to our purchasing department. I added this to a liquid soap recipe along with Washing soap. Great for cleaning. Big 5lb bag. Does a great job of what i need. I made and sell bath fizz's commercially and this is by far the best price and quality I have found. I loved using this in my Bath Bombs and will soon be using it to add in my scrubs! Cannot wait to order more! A wonderful sized amount that comes in the packet. I was surprised at just how much was there (good for a couple of recipes)! Will be ordering again. Work great. Bath frizzed well. It worked well in my batches. There were a few clumps but easy to work out. The bag was sturdy (no leaks) and resealable. Great product about to order large amount. Time and time again I am impressed with Crafter's Choice packaging. This product was a great value for the price! Buying in bulk to make bath fizzies it has saved me a ton! I love this baking soda! it has a great reaction to the citric acid you all sell. my only complaint is that this baking soda is VERY clumpy but after running it through a sifter it is nice and powdery. This baking soda is perfect for making bath bombs! I love the quality, and the price is the best I've found! This is the same as you would purchase at the grocery store. It came with the bath kit I ordered. Makes it very convenient to get all the ingredients for your project together. I love the consistency of it pure white just an all around good product to have around the house. I like how easy to pour, the bag was punctured when it got here but barely any spilled. It's cheaper than I can find it locally so I love that! It was VERY clumpy so I had to break those apart in order to make the bath fizzies- that was different....the Arm & Hammer I get here doesn't clump but that's ok. It's worth it to support a small business! Perfect for my bath bombs! This worked perfectly for making my bath bombs. this makes lovely bath fizzies. anxious to see how the customers like the fizzies. I love the way they fizz out and leave such a lovely scent. Great quality and packaging. Item just as described and worked great in my bath bombs. I have bought hundreds upon hundreds of pounds of baking soda from Crafter's Choice. The last batch I received was the first batch that was "lumpy". I was a little let down as it's hard to work all of the lumps out for flawless bath bombs, but it still worked well. And I am not too concerned because, like I mentioned, I have bought hundreds of pounds of it and it's always been great. I used to buy my baking soda at another store but I make a lot of bath bombs and price matters. That being said, this is still high quality. I have ordered baking soda that comes clumpy and hard to work with - not this! I barely had to sift it. It comes sealed in a nice, big resealable bag which is great. I will only order from here now! I purchased the 5 lbs bag for my bath salts and bath bombs and it arrived in a resealable bag with a very large mouth for easy measuring and pouring. I make over a 100 bath bombs a week and I use a lot of baking soda. I use to order from another company but for some reason, when mixed with the citric acid for bath bombs, it didn't seem to level out correctly. I will be buying more of this. I don't really use this in any of my products yet. I mainly buy it for the purpose of a soaking aid for me. It helps remove inflammation from the body if you soak in it. Eventually Ill create something and share with my customers. For now its helps me. Good price point and love the ease of the bag that it comes in. I love to use this baking soda for my bath bombs and fizzy cakes. I've used some from the store but it doesn't compare to Crafters Choice brand. This is better than store bought baking soda. Keeps my bath fizzes alive. Works great in my bath fizzys, love this stuff. Made bath fizzies with this and they are awesome. Will be purchasing again. We believe the size bag you receive makes this buy a great value. We use baking soda in so many of our products. Using as much as we do, buying in bulk is the best option! Fabulous quality at a great price. Easy to use and convenient to buy in bulk supply. This is a great price to be delivered right to our door. We use this in bath fizzies and foot soaks. There are other products we make with this. Can you imagine dragging home 25 pounds of baking soda every few weeks from the grocery? Thank you Crafter's Choice once again!! I used this to make bath fizzes and it is great. Can't live without this when making bath fizzies & bombs. The price is very reasonable, & I like the zip lock bag packaging. Makes it easy to scoop out to measure. I keep this in stock all the time. It was exactly what I expected. I used it in my laundry detergent. My clothes came out clean w/o a doubt. If you are going to make/use it for a laundry detergentÃ¢€Â¦do not use a lot. A little goes a long way. You will still need a fabric softener. This worked well for my bath bombs. It's much more powdery feeling than standard store bought baking soda. I barely had any clumps in the bag. Doesn't seem like just any baking soda. This is so smooth and just incredible. Great product and good quality. Great amount for the price! Great baking soda, just like what you'd get at the grocery store, only in a much easier-to-use package. Great quality and not too lumpy! Thank you Crafter's Choice! It is perfect for bath bomb. This came exactly as described. Great for fizzles and packaging keeps it fresh. I bought this on sale and wish I had bought more. I used this Baking Soda as part of my recipe for bubble bars and for bath fizzies. It worked beautifully, arrived in a conviently packaged resealable bag and was easy to use. I used the baking soda for bath fizzies, and the quality was great. It arrived safely packaged, and was easy to work with. I highly recommend this versatile product! I use this product in my shower steamers and it is fantastic. What can I say about the price along with the free shipping? Although I can purchase baking soda at the grocery store, I really hate grocery shopping. The two things I liked most about doing it this way was the ease of just being able to push some buttons and have it arrive - and the packaging. It is frequently humid in my apartment and I worry about my bath product supplies being in boxes. Storing them is also an issue as my apartment is extremely small. The bags give me peace of mind and easier storing options and are well worth the planning ahead on ordering so I don't run it. This will be a regular purchase for me - the lazy crafter! Even though I can find this at the grocery store, I like that I can get a better size at Crafter's Choice and the price averages less than the store. Needed for fizzies and salts. A must have for any bath bombs. Love the value here on this one too. And can I just add, in over 6 years of ordering from Crafter's Choice, this powder has never leaked in transit! A company you can count on. I wasn't expecting the baking soda to be so lumpy but it behaved well in my bath bombs. So, this is just regular baking soda and it performs as expected in scrubs and bath fizzies/truffles. I really like the re-sealable bag and the bulk price makes this a very economical purchase. What can you say about baking soda?! Its a good deal and it worked great in my bath bombs! Great quality and freshness for the price. I love making bath fizzies with this baking soda.I will definitely purchase again. This mixed up nicely with the citric acid for bath bombs. No problems no complaints! Like any old baking soda, its baking soda. However, you can trust that it doesnt contain bacteria and the price is great! Not lumpy and the resealable bag is very convenient for storage and use. great value in all quantities, mixed and over night with EO and voila, you have a great carpet freshener. I've ordered 3 of the five lb bags so far & the baking soda has been super fine with no lumps. This is very important when making bath fizzies. The last bag I just got & been using is full of big clumps! Disappointed with this one but I still ordered another because I know it just had to be a fluke. 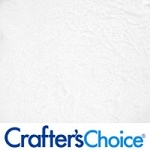 All the products I get from Crafter's Choice are excellent! I like that I can buy baking soda in bulk (at a great price) because it has so many uses - too many to name all of them. I am primarily using it in bath fizzies. Great product. Love to make Fizzies and bath bombs! I added this to bath fizzies which worked out well. It is a good quality product. Great price, nice and smooth in bath bombs. So glad you carry this so I can order all my supplies to make bath fizzies from the same place! Works great with Citric Acid for fizzies. This is the size I use for my sugar scrubs and body butters and was happy to see Crafter's Choice carries this size. I found it really cheap to buy it on this website plus you have free shipping it almost like going to a bulk store but the only difference u don't have to go out of ur house !!!! Necessary for a great bath fizzy recipe! Baking soda for an excellent price. I use it for my bath bombs and love the quality. Used this for bath fizzies naturally. It's great to buy this in bulk for your fizzies, and the quality is what you need to make awesome fizzies! This is a quality product that I used to make bath bombs and shower aromatherapy discs with. Excellent price. I ordered the larger amount of baking soda and I am impressed with how well each is packaged. You receive 5 bags of baking soda that are easy to open and use. This product mixed well with my citric acid and has been a dream to work with in making bath bombs. This baking soda is incredibly fine without ever lumping or clumping. I use this product for my facial microdermabrasion product and it creates an exceptionally fine, smooth blend. Works wonderfully in my bath bombs and bath salts as well. I would highly recommend this product and when buying in bulk no one else can beat the price! ordered a 5 pound quantity, it's in a nice bag for ease of scooping out of - and the quality is great for bath fizzies. This good buy and very fine and smooth SB. Excellent for bath bombs! It is very convenient for buying a larger quantity. I love this baking soda for my bath bombs. It is well packaged, great quality & makes great bombs. You think baking soda is baking soda....not exactly. I love the fine texture of this Crafter's Choice product plus it mixes so well with the other ingredients. I have tried some other sources of baking soda but will stick with this. It also is very powdery and not clumped as well as being a true white color. Can't beat the price on this baking soda, used it to make bath bombs and they turned out very well. thanks Crafter's Choice! I used this to make bath fizzies and it worked great. It works great with scent and color and is very soft and smooth. I've been wasting so much money buying local. This is such a deal, delivered really quick! Will restock when i run out for sure! This is my first stop for baking soda for the bath fizzies that I make. It is economical. Not much to say - it's baking soda, as expected. I do like the zip top pouch and will definitely order again. This is the best baking soda I have ever used. I try to buy 25lbs (5 - 5lb bags) because of the convienence and price. This powder is so fine, it mixes well with the other ingredients. I always buy from Crafter's Choice!!! This is always so nice and fine. Never any clumps. I love the resealable strong bag it comes in. This product is consistently outstanding. The packaging is neat and easy to use, the baking soda is always white, (unlike others I've tried) and it's never hard packed. That saves me a step. But the quality is what I like. It blends well and does just what I intend for it to do. I started out testing the products I made with it before selling them. Now I just make the product and count on this baking soda to do what it's supposed to do. Great as a 2:1 ratio with citric acid in my bath fizzies. Doesn't create lumps and it's easy to access in the bag it comes in! I am using this for the bath bombs and fizzies and It works perfectly. Makes great bath fizzers. Wouldn't purchase anywhere else. I use the Crafter's Choice baking soda for my bath fizzies and I must say I was rather pleased with the results. The bag it comes in is very durable and resealable, it arrived on time, and it is much better quality than grocery store bought baking soda. If you are serious about making bath fizzies don't cut corners, you need to purchase high quality baking soda and Crafter's Choice can't be beat! 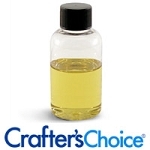 Crafter's Choice has the best price and they have the best quality in this item and most actually! Yet another great product always on my shopping list. Used for Girl Scout projects and was great! I use a lot of this product in bath fizzies, bath bombs, fizzy cupcake, bath salts & more. I love that it comes in a easy to pour bags. Great price. 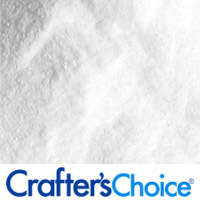 I ordered a ton of baking soda from Crafter's Choice, its a great price. I like that when you order 25 lbs it comes in 5 small bags that are easy to move. The bags are also great for getting a scoop or spoon in, instead of shaking a box over your scoop like the boxes you get from the grocery store. I will be ordering more! It works well and I don't have to go to the grocery store, now I just wished Crafter's Choice carried cream of tartar too, so I could get everything I need from Crafter's Choice to make my bubble bars. The price for the amount you get is a great deal! There are very few clumps and the bag seals closed at the top to avoid moisture buildup. I use this in bath fizzies and in a face exfoliant, and it works perfectly. I use this in my natural deodorant and in my bath salts and products. Great value! 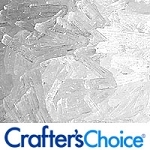 Sodium bicarbonate from Crafter's Choice is high quality. No clumping. LOVE the heavy duty zip bag and appreciate the size choices. Amazing Prices!!! A plethora of uses!!! This baking soda is great. I love that it is available in a 5lb re-sealable bag. Very easy to work with and very good prices. I use this product in bath bombs and come out perfect! Works great in my bath bombs. Works great as a foaming sugar scrub, just on its own and bath bomb cupcake topping. As a CrafterÃ¢€â„¢s Choice Distributor and/or Drop Shipper you have agreed to abide by the following Minimum Advertised Price (MAP) for each product and price level. You are permitted to advertise products at a higher price. You may not advertise the products at a lower price. Below you will find the MAP for this product. Hardwood Activated Charcoal 2 oz.